FOSTER CITY, Calif., January 11, 2017 /3BL Media/ -- Gilead Sciences, Inc.(Nasdaq:GILD) today announced the recipients of its HIV cure grants program, a fund totaling more than $22 million, which will support 12 new HIV cure research projects. These projects will be conducted by leading academic institutions, non-profit organizations and community groups from around the world, focusing on three key areas: translational research, efficacy studies in animal models and community perspectives of HIV cure. 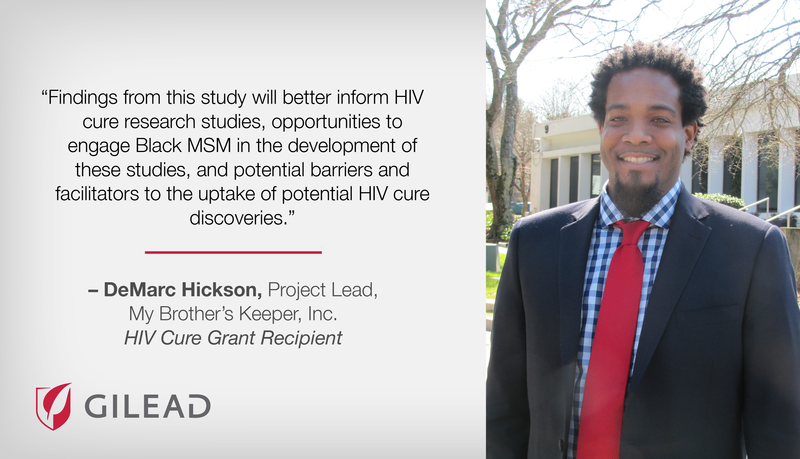 The HIV cure grants program, initially announced in February 2016, is one of the components of Gilead’s commitment to cure and ultimately eradicate HIV and AIDS through its research and development and philanthropic leadership. For nearly 30 years, Gilead has focused on the development of antiretroviral therapy to treat HIV/AIDS, helping transform HIV infection from a fatal and debilitating disease into a chronic, manageable condition. In further efforts to end the HIV epidemic, Gilead is conducting early-stage clinical research to identify novel agents and strategies that could play a role in eradicating HIV infection in the body. In addition to the funding of these grants, Gilead was recently announced as one of the foremost corporate providers of philanthropic support to address HIV/AIDS by the Funders Concerned About AIDS (FCAA) organization.